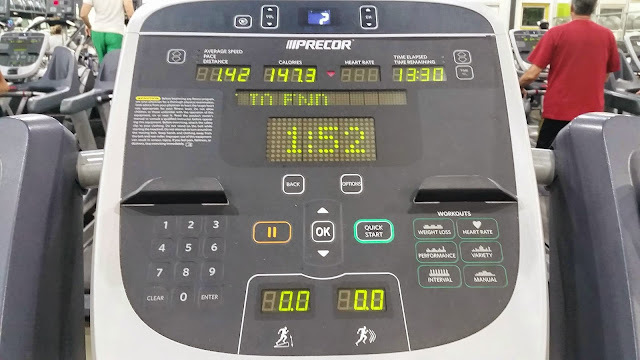 This morning I continued with my treadmill workouts. Today I decided I wanted to do some sprints. I hate to do sprints, but I wanted a challenge. 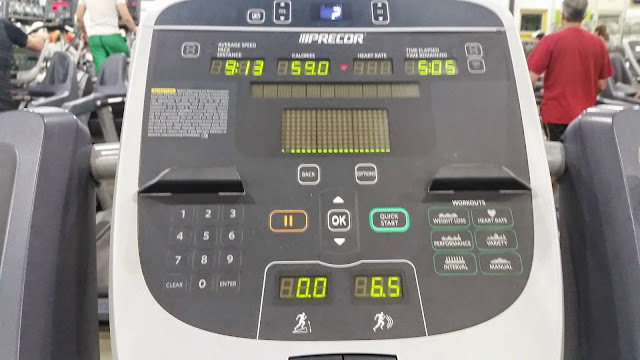 I started with a light jog at 6.5mph for 5 minutes. Always remember to warm-up especially before sprinting. Last thing you want is to pull a muscle during your workout. Start with a 5 minute warm-up. Run at your own comfortable pace. This workout will get your legs feeling like lead at the end. It's fast and gets straight to the point. You will be looking forward to the end of that minute! Doing sprints helps with decreasing time on your pace. 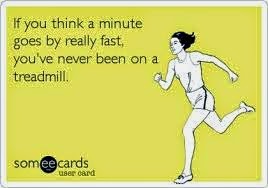 So don't be scared to incorporate sprints in your training. Top Tips for Slimming Down!